Home / MOVIE TRAILERS AND INFO / Watch the new #‎ChappieMovie trailer NOW. Watch the new #‎ChappieMovie trailer NOW. Chappie, an experimental robot built and designed to learn and feel, must fight back against forces planning to take him down. Chappie (stylized as CHAPPiE) is an upcoming American science fiction film directed by Neill Blomkamp. The screenplay, written by Blomkamp and Terri Tatchell, is based on Blomkamp's 2004 short film Tetra Vaal. The film stars Sharlto Copley, Hugh Jackman, Dev Patel, Sigourney Weaver, and South African rap group Die Antwoord. The film is set to be released on March 5, 2015 in Philippine Cinemas. From the director of District 9 – experience the next step in evolution. Watch the new #‎ChappieMovie trailer NOW. 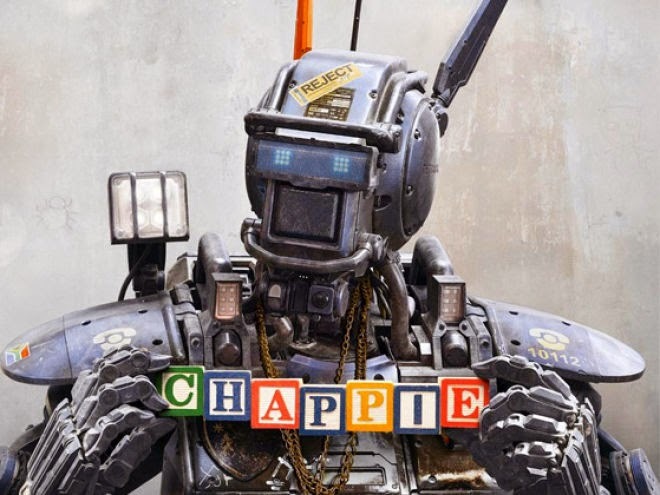 CHAPPIE arrives in theatres March 5.